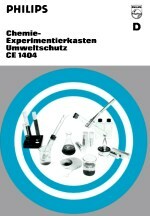 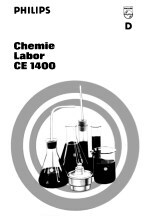 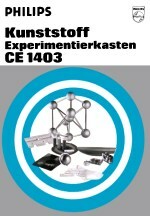 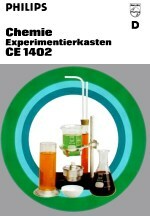 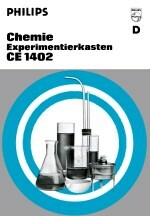 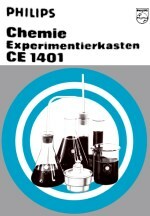 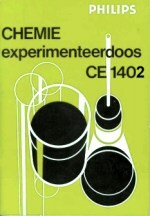 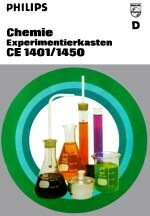 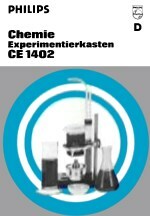 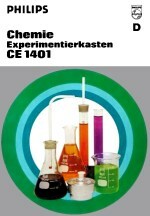 The CE 1400 series series started in 1970 with CE 1401 (inorganic chemistry); by 1972 CE 1402 (organic chemistry) and CE 1403 (polymer chemistry) had been added and CE 1404 (environment protection) was in preparation – the last one clearly ahead of its time, as many of the Philips kits. 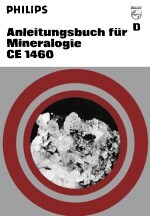 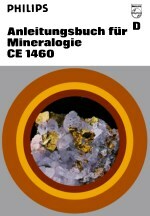 By 1977 the starter kit CE 1440 and the huge CE 1400 (CE 1401, 02, 03 and 04 combined) had been added, as well as CE 1460 – an independent kit on mineralogy. 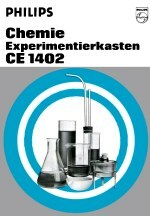 In 1979 CE 1450 (a subset of CE 1401) was added, while CE 1403 had disappeared; in 1980 or 81 CE 1404 was also discontinued. 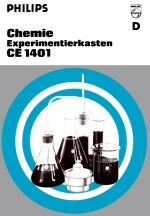 From 1980, the contents of the latter two kits were at least partially incorporated into revised versions of CE 1402 and CE 1401 respectively. 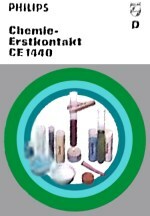 The diagram shows the related kits in the series; CE 1440 and CE 1460 were independent from these. 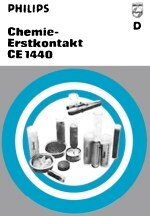 None of the kits are pure expansions requiring other basic kits, though CE 1403 and 04 seems to have been thought of as supplementary to CE 1402 and 01 respectively. 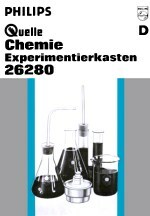 The only Quelle variant of these kits is called 26280, later 262800 6, and probably corresponds to CE 1402. 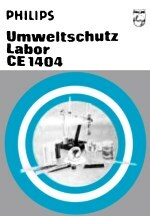 In the mid eighties, when Schuco took over the development of the kits, a new series gradually replaced the old one. 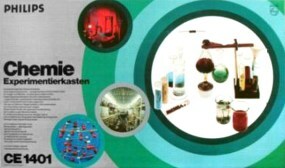 More information about these kits can be found in the chemistry section of the Doppelplusspiel site.